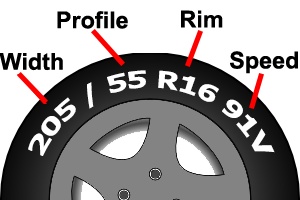 We hold large stocks of tyres at the competitive pricing covering car tyres, 4x4 tyres, van tyres, run flat tyres, small agricultural tyres, high-performance tyres starting from premium tyres, midrange tyres to budget tyres to suit all vehicles. "Prices include free valve, free fitting, and computerised balancing"
If this light comes on your vehicle dashboard, contact our Tyre Bay team who are always happy to help and to give friendly, professional and helpful advice. Ring us now for a quote on 0115 9265452, 0115 9209534, or email us with our tyre price evaluation form. Get a tyre price evaluation quick and easy.